I think this is the first time in my adult life that I went an entire 30 days without shopping. 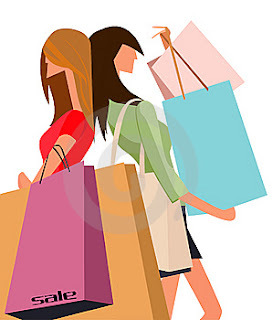 I didn't purchase a single article of clothing, costume jewelry, fun accessories or shoes. I did not tempt myself by entering a mall or a boutique, just to test out my willpower. I know myself too well. I have no willpower when around new pretty things. I can sniff out good shopping. In all honesty, this was not easy for me. I had the urge many times. But it taught me SO many things about myself. For one, it taught me how strong I am. It took an immense amount of strength to stay away from the new fall lines. I seriously felt heartache when I was in eye sight of a mall. I love getting a good deal and I love paying full price for something I can't live without. I think I love these things a lil too much. But you can't help what makes you happy, now can you? And the best part of not shopping for a month? I just checked my credit card statement online and my monthly total is $61. No need to check your eyes, you read that right! I have not spent a single dime buying things I do not need in the past 30 days. And my credit card statement proves it! 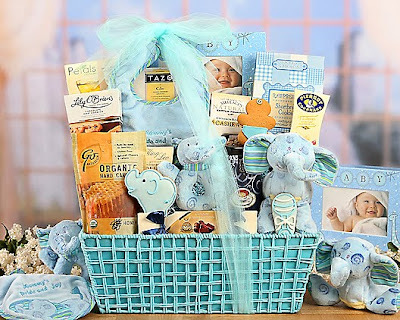 I did spent $61 on something extremely important -- a darling gift basket for one of my close friends (we were in each others weddings) who just had her first baby. And this, the gift basket. Can you go 30 days without shopping? If you can't, why do you think you cannot? What does that say about you? If you can, then do it! You will feel an overwhelming sense of accomplishment and your bank account will be your much deserving reward. GREAT job not shopping! I'm attempting the, "buy only what you need," thing this month and so far so good. My husband is a lot happier too...ha :)! Okay, so I totally need to do this! I am really bad about buying stuff that I don't need, especailly when I go to Target - I always walk outta there with stuff I usually dont need. I may hafta try this!! I'm impressed, girl. Also, that gift basket is too cute! You probably won't believe me but I went 5 months without shopping for myself. 5 months. It was torture. 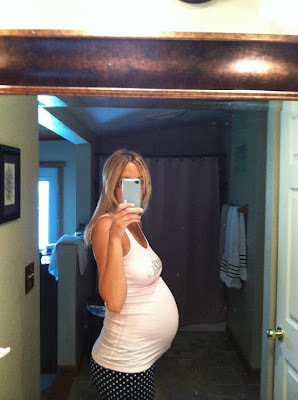 It's hard enough to do it a week, much less a month though so all I want to say is YOU GO GIRL!!!! And that basket? SO cute!!! Wow seriously you go girl. Kevin was giving me crap last night that I can't go one day without buying something. Oops! No joke I have been wanting to do this! I want to try it for 30 days. I'm scared that I'll fail miserably. haha. Maybe next month I'll start? oh geez. GOOD JOB girl though really..I'm very impressed! ok so first of all I am a huge fan of your blog! and I love that you posted this....I too have a huge shopping addiction and probably shop close to every week. I recently had a wake up call when I got my credit card statement and really realized how much money I was spending. I now leave all cards at home and only carry cash! Great Job!!!!! I hope you can continue to save! I've actually gone these past 2 months without shopping! Yowza... thats alot of willpower right there!